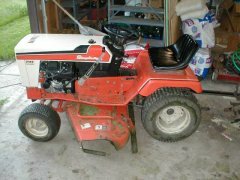 I am trying to figure out if a AC 914 can fit a 42" blade/hitch 1690440... according to what fits, that hitch was only for the 6112 Simplicity types of tractors, but I've seen those hitches and they actually have extra parts on them. If the extra part is unbolted, then the hitch will fit the B-Series all the way up to the 1995 Soveriegn. 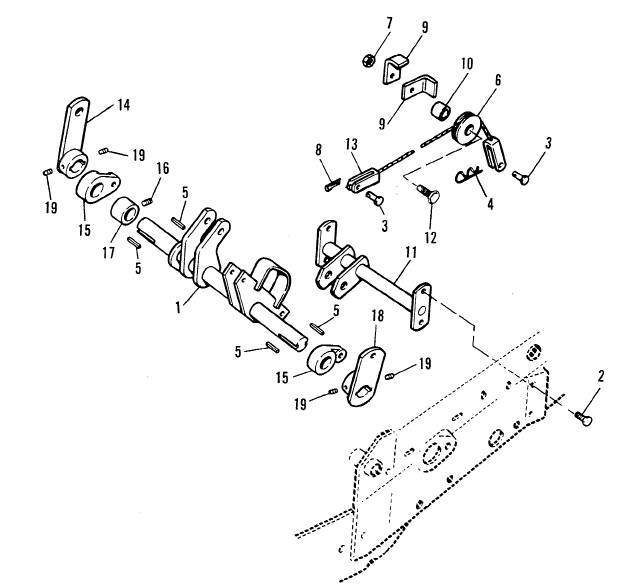 Below is a picture of the lift of a 914, showing it has the right lift mechanism. Does anyone know if the 914 can fit the blade hitch setup below? 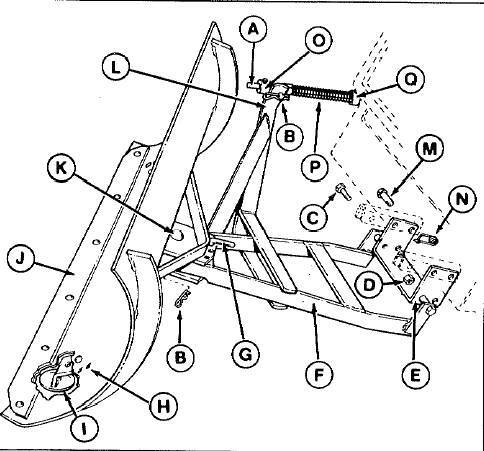 I think you can jsut take off Part E and then Part F is the soveriegn Hitch, pins to the same location as the mower deck. All it is is a Soveriegn type blade and hitch with a adaptor to fit it to the 4000, 5000, and 6000 series tractors. If thats the blade you are looking at it will fit the 900 series by just removing the adaptor. Sam/Carl - Thanks, that's what I thought. This post will serve as a reference to anyone adapting a AC900 series (i.e. AC914,AC919,etc) to a 1690440 hitch.